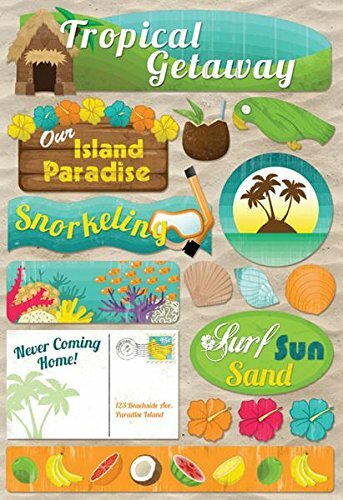 It's simple to take school, scrapbook and crafting projects to a whole new level with these destinations stickers. Easy to coordinate with many of our other products, they feature foil embellishment and layered to add a subtle dimension to any project. Each package contains one 7.5 x 4.5 inch sheet. Grand Adhesions Stickers make every project a grand one. 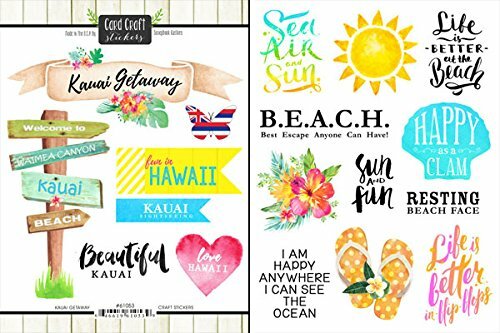 Use these dimensional stickers on page layouts, creative frames, handmade cards, gift tags and more. Acid and lignin free. 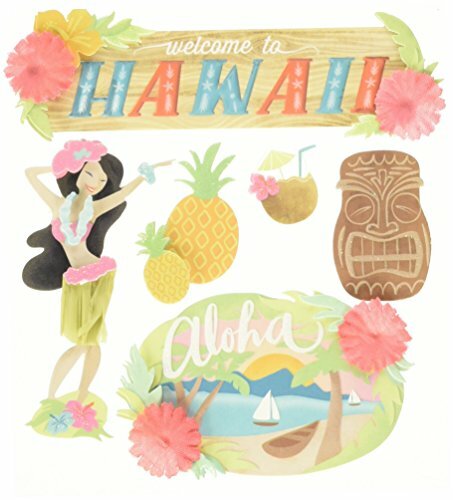 Jolees-Boutique Dimensional Stickers: Hawaii. 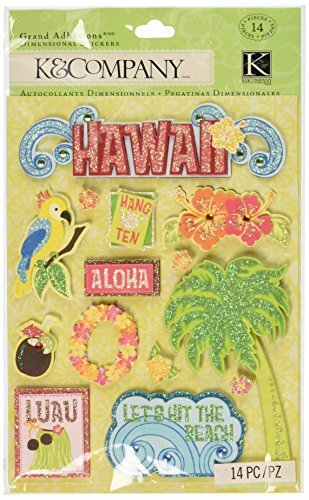 Make your papercrafting project pop with these unique embellishments! 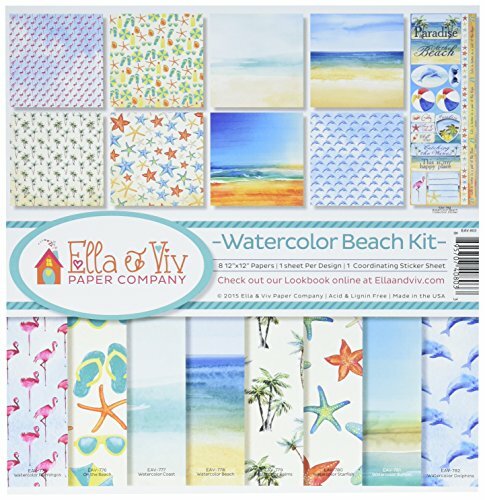 Great for decorating cards pages and more. 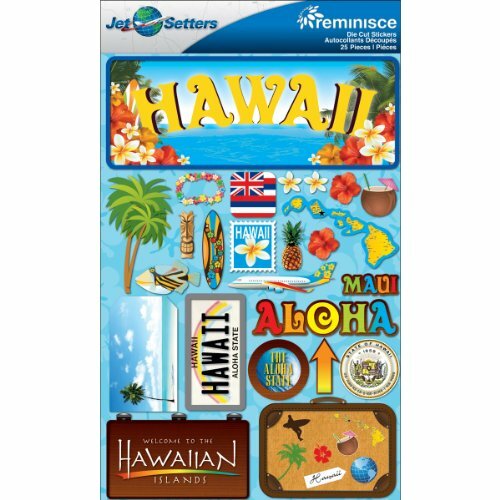 This package contains six dimensional stickers on one 4-1/4x4 inch backing sheet. Imported. 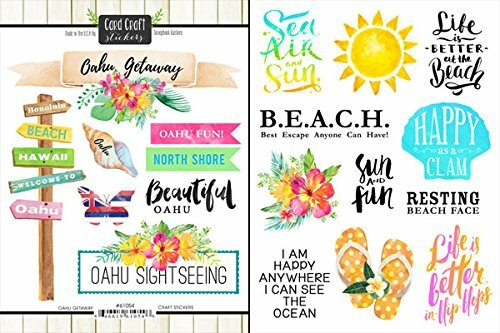 Package of 2 sheets of Hawaii Oahu Getaway scrapbook stickers by Scrapbook Customs. Package size approx. 6" x 8". 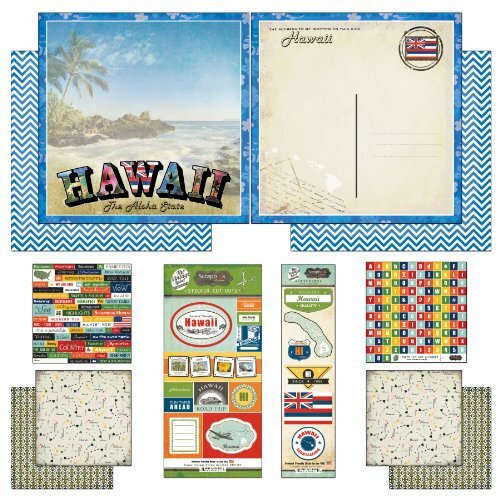 Package of 2 sheets of Hawaii Kauai Getaway scrapbook stickers by Scrapbook Customs. Package size approx. 6" x 8". 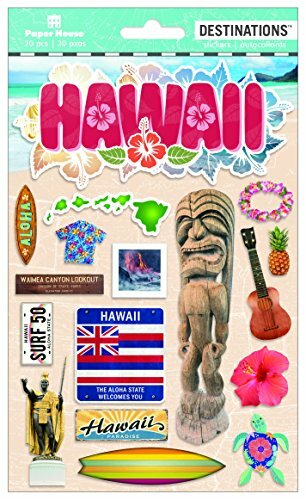 Karen Foster Design Scrapbooking Stacked Statement, Hawaii, 12 x 12"
Project Life 101: Let's Get Started!